The renovation of large, ageing pool facilities presents a unique set of engineering and construction challenges. A recent upgrade at the Borough of Manhattan Community College (BMCC) aquatics centre included extensive aesthetic and infrastructure renovation incorporating repair and replacement of the steampipe network as well as the concrete structure system beneath the six-lane 25 m pool. The $7.2 million renovation was carried out by Stalco Construction and required the pool to be taken out of service during the construction phase. The Stalco team made extensive concrete repairs on the south and west sides of the pool, using Sika Duoflex SL (a two-component, self-levelling, polysulfide sealant), Sika Armatec 110 EpoCem (a bonding agent) and SikaGrout 328 (a high-performance grout with extended working time) to repair cracks. The scope also included an upgrade of the HVAC systems. Stalco installed a Hanovia Photon II ultraviolet dechlorination and water treatment system, plus a state-of-the-art Neptune-Benson Defender automatic regenerative media filtration system (model SP-33-48-732) that ensures clean water for swimmers. 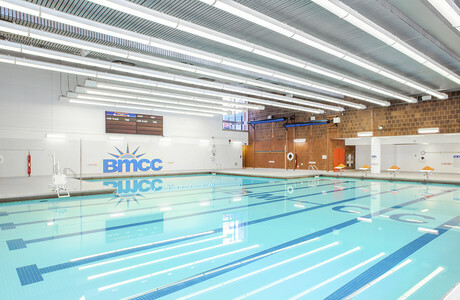 The latter system means BMCC does not have to discharge as much pool water or use as many chemicals, saving money and lessening the facility’s impact on the environment. The pH level is controlled through the LMI Milton Roy Series B electronic metering acid pumps. The team installed new motorised vinyl sheathing that covers the pool when not in operation. The sheathing not only prevents water and heat loss, it reduces humidity and wear and tear on the HVAC systems. 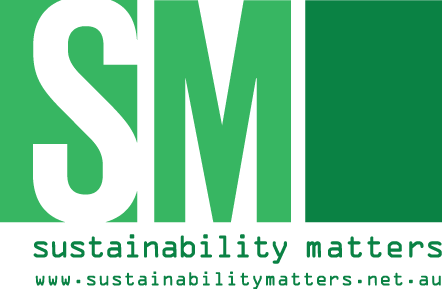 BMCC expects to save over 4400 kW of electricity this way each year, which translates to a savings of nearly $41,000 and lessens the environmental burden. Stalco removed all of the existing tiles — those in the pool and those on the walkways around the pool — and installed new, 5 x 5 cm tiles from Daltile in BMCC’s official colours (blue and orange). To install the tiles, Stalco first used a waterproof membrane, then a setting bed, thinset, the tiles and finally the grout. The total tiled area is around 975 m2, including the pool (both vertical and horizontal surfaces) and the ‘dry’ pool surround. In the pool, Stalco used products from H.B. Fuller Company, including Hydraflex for the waterproofing layer and Power Grout to grout the tiles. LATICRETE’s HydroBan was used for the waterproofing layer for the tile on deck. HydroBan’s single-component, self-curing liquid rubber polymer forms a flexible, seamless waterproofing membrane that is both thin and load bearing. The scope of work also included building a new staff office, mounting new diving platforms, renovation of a storage room and installation of two new ADA-compliant S.R. Smith handicapped lifts to accommodate swimmers in wheelchairs. The lifts are individually operated with a system of button controls. The team installed a competition-level timing system with touchpads, by Colorado Time. For the most part, lighting above the pool remains the same, though it was cleaned and, where necessary, repaired. Lighting sources are located on both ends of the long tubes, while a series of mirrors and diffusers in the middle portion of the tube serve to spread light throughout. Maintenance workers can access light sources at each end from the walkways around the pool when bulbs need to be changed. A new array of emergency lights was also installed. All images Ola Wilk/Wilk Marketing Communications. SwimWall Systems from S.R. Smith provide flexibility in commercial swimming pool applications.